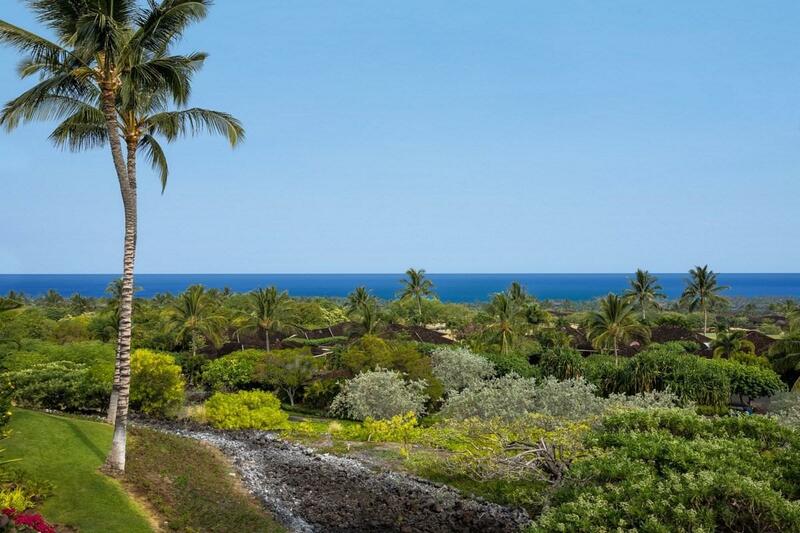 HUALALAI RESORT, Hainoa Villa 2905B: Enjoy incredible panoramic horizon views of the Pacific Ocean, Maui and brilliant sunsets. 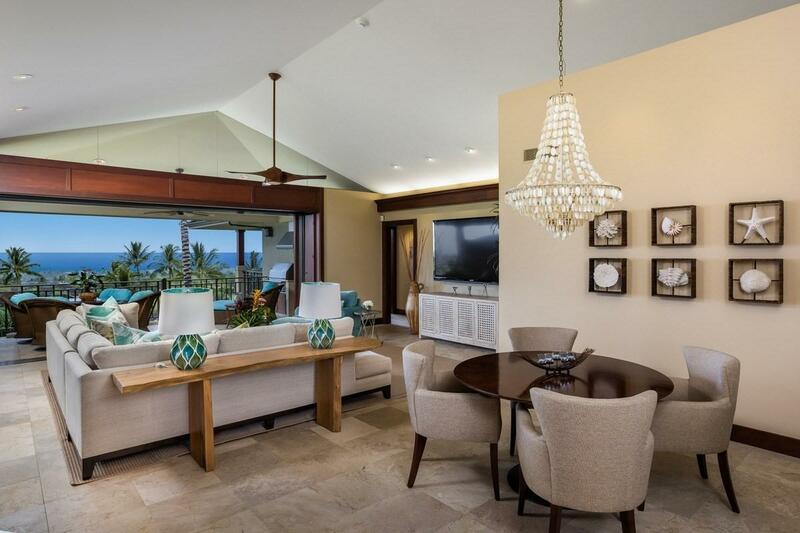 This upper floor villa, furnished by Henderson Design Group, offers open concept living with large windows and pocketing doors creating a breezy, light filled interior. 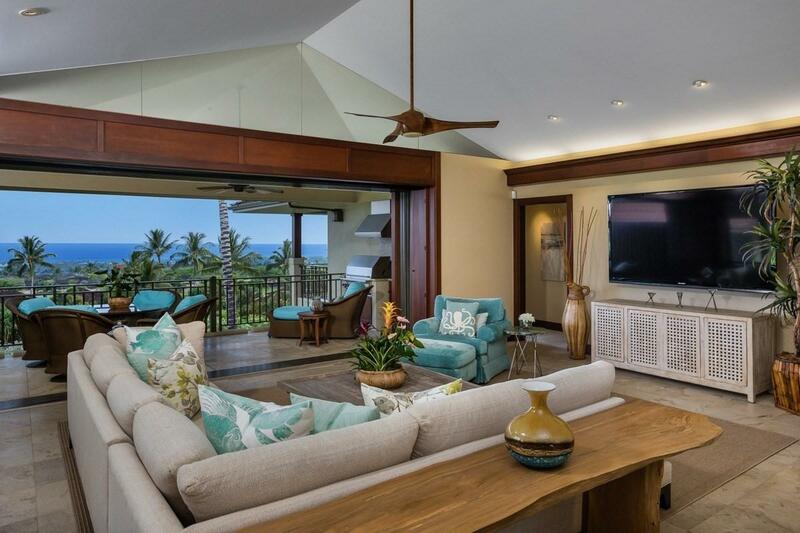 The Hainoa Villas are situated at the top of the resort and are within walking distance to the Members only Keolu Clubhouse. 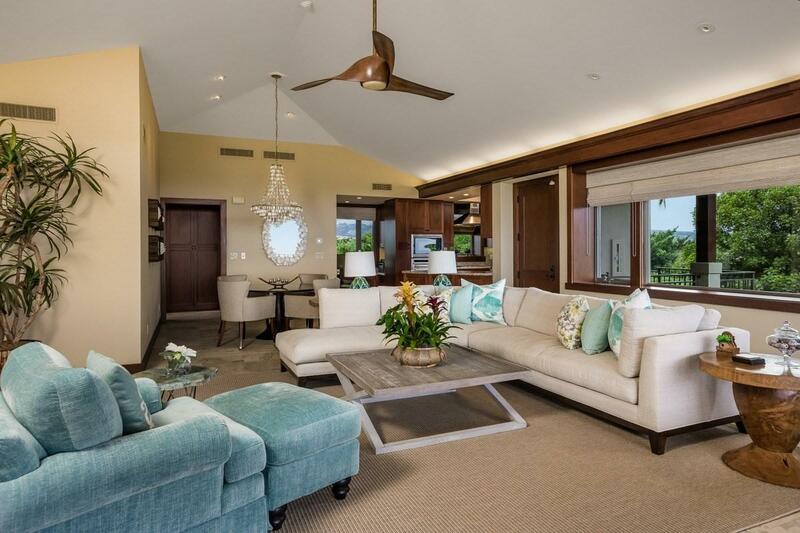 Amenities at the Four Seasons Resort are a short golf cart ride away.